Karen is a receptionist with bad PMT. She's also a stick-up artist with a .44 Magnum. Karen's boss is Frank - a slimy and distinctly rubbish plastic surgeon with money worries, two grasping daughters, a soon-to-be-ex-wife, Madge, and a dodgy lawyer who suggests that all Frank's worries can be solved by having Madge snatched. Enter Karen's new boyfriend, Ray, whom she met when she nearly blew his head off during a stick-up. Ray paints murals for children. He's also a babysitter - the sort of babysitter who kidnaps people. Got that so far? Well, complicating matters even further is Rossi Francis Assisi Callaghan, Karen's ex-boyfriend, who has just been released from jail and is on Karen's trail because she has one or two things which belong to him. Just so you know, Rossi is Not A Nice Man. The first thing he does on his release from prison is to rob a charity shop for some outrageously hideous new clothes. And he does it with such great panache that you almost have to admire him. Almost. It's a sort of 'boy meets girl, boy plans to kidnap girl's best friend, girl's psycho headcase ex-boyfriend causes havoc' type of scenario. THE BIG O has a wonderfully tight and convoluted plot that plays out like a movie. Everything that happens, happens for a reason. Something tiny that happens near the beginning, becomes suddenly very important three-quarters of the way through. It's very cleverly done. The action is fast paced and leaves the reader breathless - partly because the book is split into short scenes, each told from the point of view of a different character. Each character has a totally different voice and they are all completely believable. The bad guys are endearing, the good guys are wicked. All of them made me smile. The writing sparkles and some of the dialogue is hilarious. A kidnap caper that is very funny, exhilarating, violent and snappy. A cheeky little feel good book that will make me smile for months to come whenever I think of it. A hell of a lot of fun. 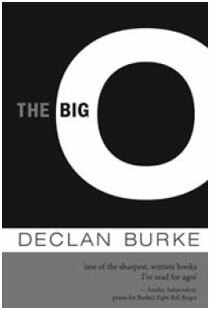 Read another review of THE BIG O.